For a basic single-page app, you might start by including the React and HERE libraries from a CDN directly in your index.html. This example works if you use it standalone in a single index.html file but doesn’t make use of JSX and falls apart if you try to use create-react-app. If you use that tool as described in a few of the other ReactJS posts you may see the next error. Adapting the above example for create-react-app requires a few minor changes. Create a Map.js with the SimpleHereMap class. Update the render() method to use JSX to place the <div/> element. The initialization of H.service.Platform() is causing an error because H is not in scope. This is not unique to HERE and is generally the case with any 3rd party code you try to include with React. Using create-react-app implies using its toolchain including webpack as a module bundler, eslint for checking syntax, and Babel to transpile JSX. The script libraries are simply included in the public index.html. The Map component defines the rendered map. We’ll be making a few more changes to this class later once we get to the theme selection. We're storing a lot of the properties like lat, long, zoom, and app credentials as state so that they can be changed dynamically. At this point though we have a working and extensible ReactJS component that is ready to display a HERE Interactive Maps. Since a map can be an extension to a brand or preferences, there are many themes and styles available for how to present a map on a page. 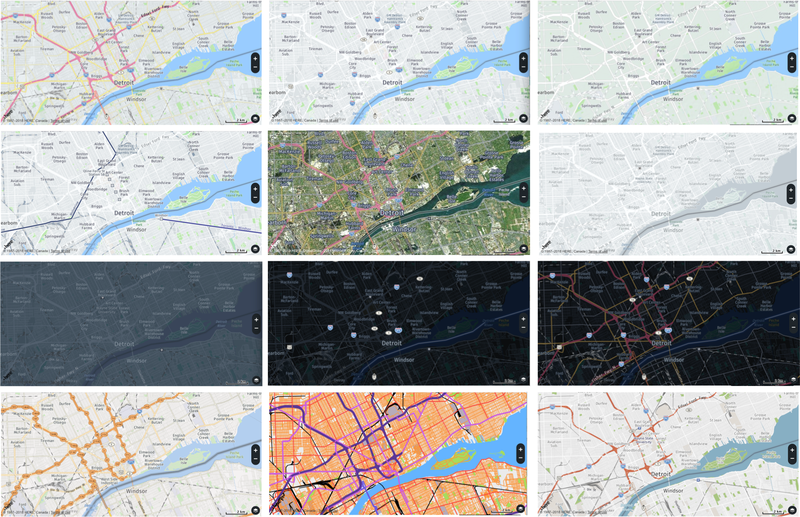 The following image depicts some of the examples of maps you can use from the Maps Tile API. We will call this method from the shouldComponentUpdate() method. From the React Component Lifecycle, this method is called when state changes occur in order to determine if it’s necessary to re-render the component. When we select a new theme, we call the setBaseLayer method and can update the map without requiring React to make a more costly re-render of the entire DOM. Putting it all together, we use src/App.js to track state for the theme selection as the common ancestor to both the Map and ThemeSelector components. 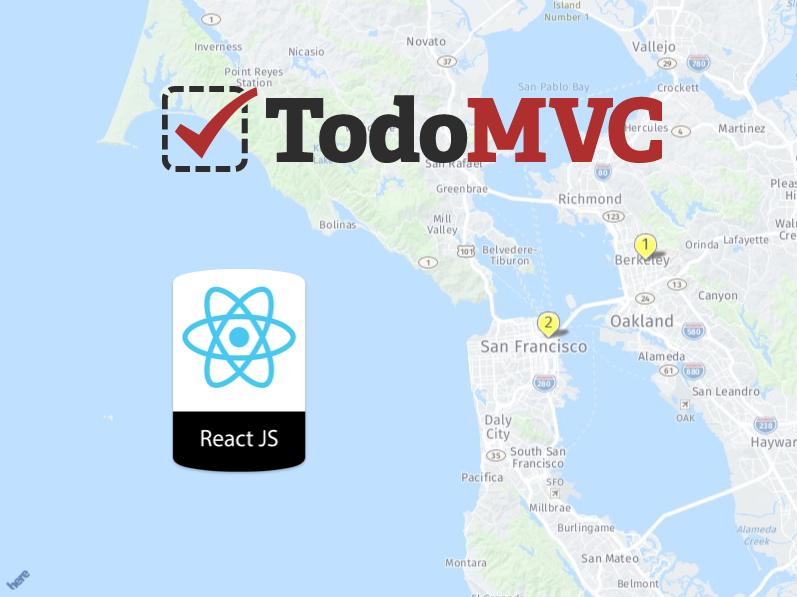 Ideally we’d like to include an npm package that encapsulates the HERE Map APIs as React components for use in our applications. There are some community projects to create these packages but your experience may vary depending on which one you choose to use. It would be good to know what you’ve used successfully, so leave a note in the comments.